Marriott and Disney resorts captured 16 of the top 25 rankings in RedWeek.com's annual report on the most popular timeshare rental resorts. Now in its 10th year of publication, RedWeek.com uses rental demand statistics from its 2.3 million subscribers to create its list of Top 25 resorts. In addition to properties by Marriott and Disney, this year’s list includes six independent resorts and one timeshare each from Westin, Wyndham and Hilton. "All of these resorts offer ideal vacations for timeshare families," Gary Prado, RedWeek.com VP, said in a statement announcing the rankings. "Our Top 25 rentals report … shows that there is strong consumer demand for vacations at quality branded resorts." Disney's Beach Club Villas in Lake Buena Vista, Fla., topped the list of RedWeek's Top 25 Timeshare Rental Resorts, followed by Marriott's Aruba Surf Club in Palm Beach, Aruba and Disney's Boardwalk Villas, which is also in Lake Buena Vista. Marriott-branded resorts won five of the top 10 rental resort slots and 11 of the top 25. Disney's new Bay Lake Tower at the Contemporary Resort joined the rental popularity list for the first time at No. 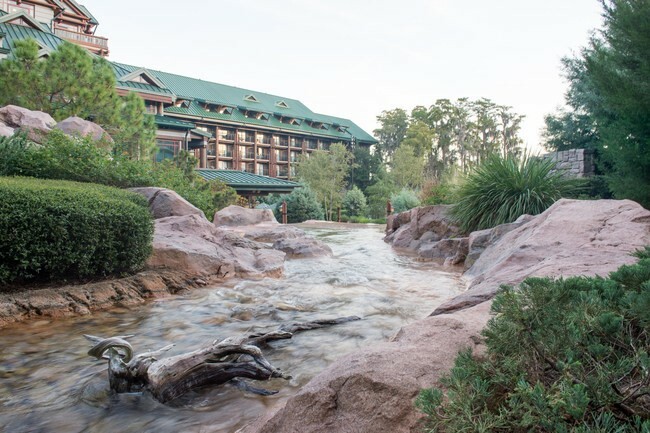 25 and expanded Disney's overall presence to five resorts. Eight of the Top 25 resorts are located in Florida, followed by Hawaii with seven, Aruba with four, South Carolina with two properties. California, Mexico, the Bahamas and New York had one resort each on the list. When RedWeek launched the resort rental survey in 2008, New York's Manhattan Club was the No. 1 most popular timeshare rental. This year, the Club ranks No. 9. One major resort missing from this year's Top 25 is the Westin St. John, Virgin Grand Villas, which finished in the Top 25 consistently in prior years. A relatively new entrant, meanwhile, the Playa Linda Beach Resort in Palm Beach, Aruba, jumped four spots to No. 11 in 2017 after climbing four spots from No. 19 in 2016. Disney's Beach Club Villas; Lake Buena Vista, Fla.
Disney's BoardWalk Villas; Lake Buena Vista, Fla.
Boulder Ridge Villas at Disney's Wilderness Lodge; Lake Buena Vista, Fla.
Marriott’s Grande Ocean; Hilton Head, S.C.
Disney’s Old Key West Resort, Lake Buena Vista, Fla.
Marriott’s Ocean Pointe; Pal Beach Shores, Fla.
Marriott’s Oceanwatch Villas at Grand Dunes; Myrtle Beach, S.C.
Wyndham Bonnet Creek Resort; Lake Buena Vista, Fla. The Galleon Resort; Key West, Fla.
Bay Lake Tower at Disney’s Contemporary Resort; Lake Buena Vista, Fla.
RedWeek.com is the largest online community and marketplace for timeshare rentals, the company said. Users can find reviews, ratings, prices, availability, and complete resort description for all timeshare resorts worldwide. Timeshare owners can make use of a variety of online tools to rent or sell their timeshare, and participate in forums to discuss important owner issues.